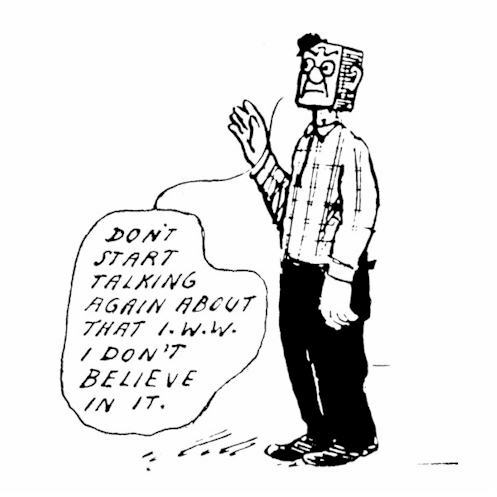 Mr. Block, who has no first name, was created November 7, 1912 by Ernest Riebe, a member of the Industrial Workers of the World (IWW). 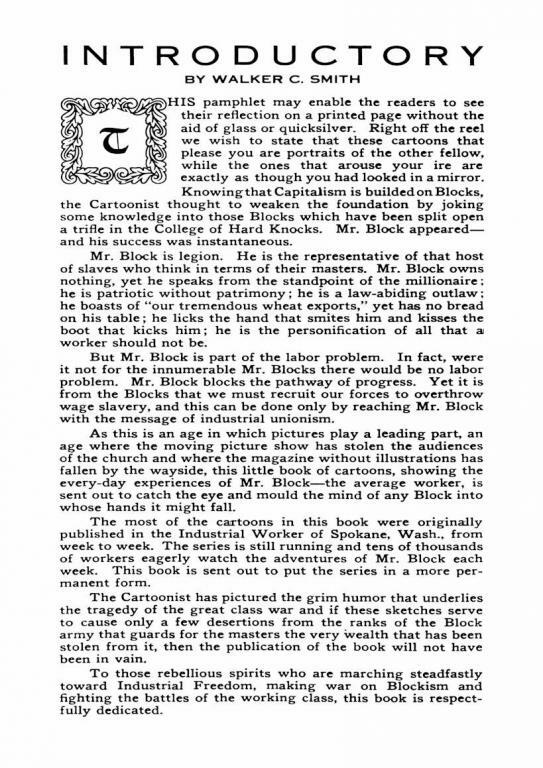 Block appeared that day in the Spokane newspaper Industrial Worker, smoking a cigar and wearing a checkered suit with top hat. 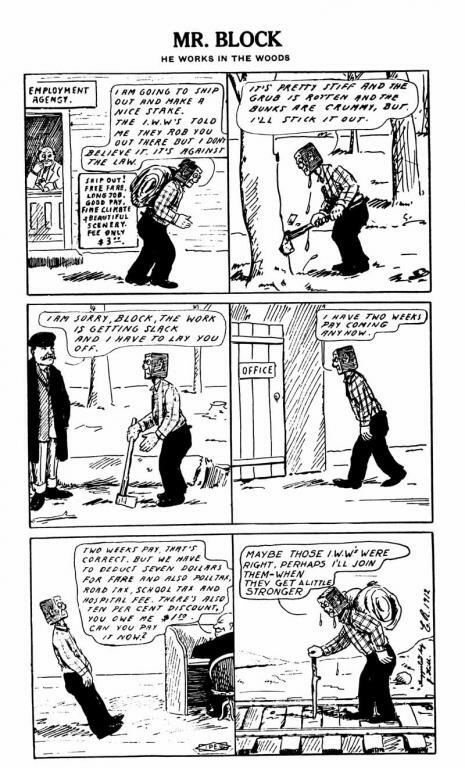 Subsequently, Mr. Block lost the fancy clothes but often kept a hat, ten sizes too small, perched on one corner of his wooden blockhead. 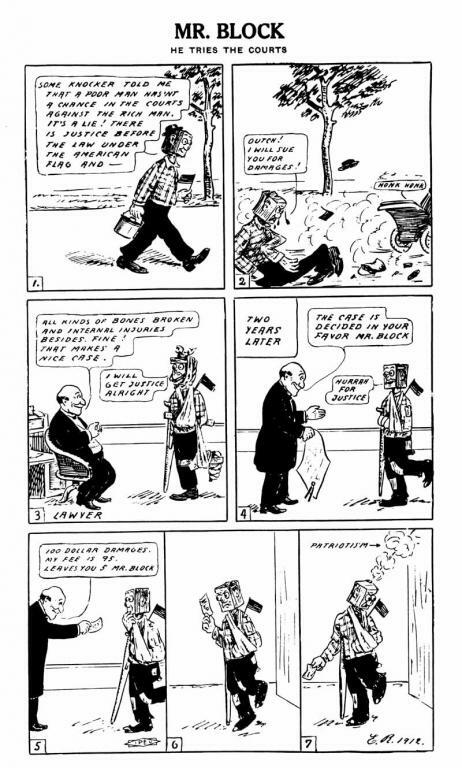 Great stuff, thanks, I have been meaning to scan my Mr Block images for ages but haven't had time. 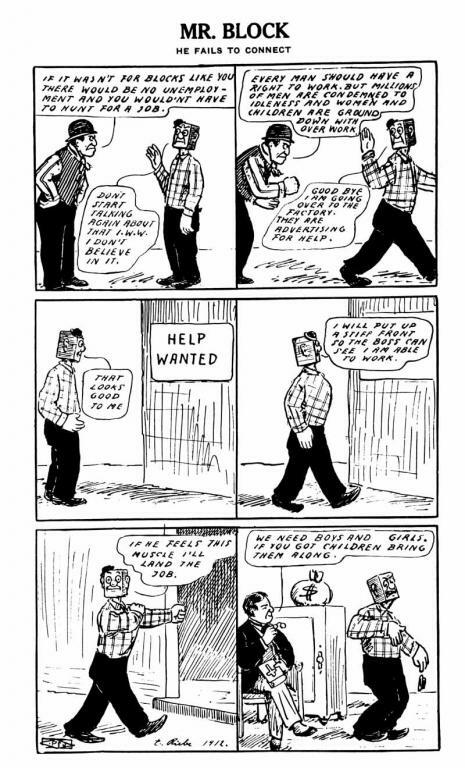 Are they the same images in the archive as on here? 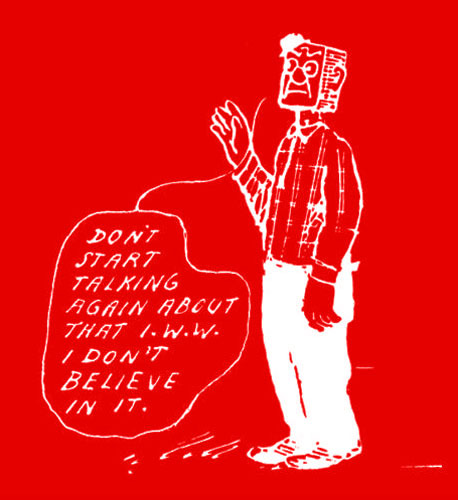 Wow, these are great! 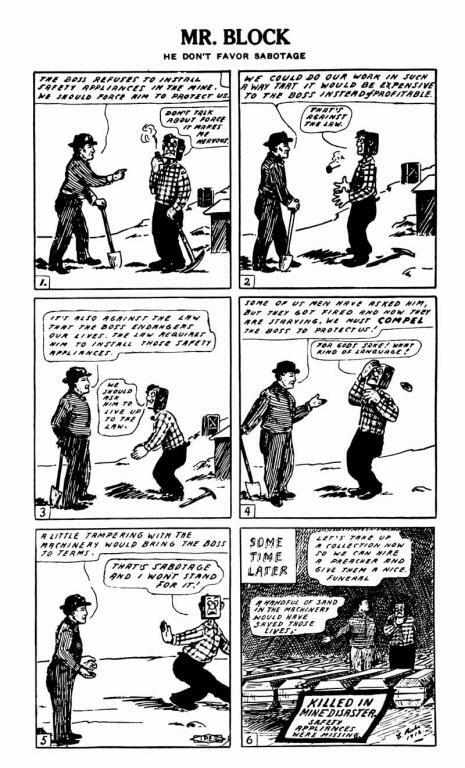 With the obvious exception of the dollar amounts they've aged surprisingly well for being a hundred years old. 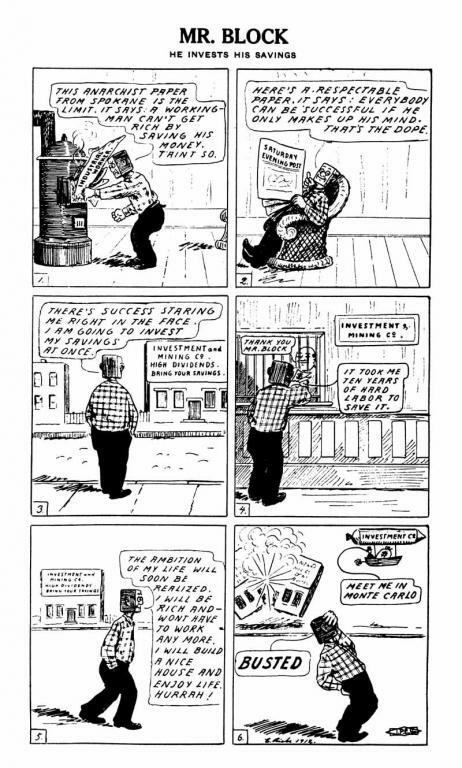 The one about the courts is especially poignant given how long it takes the NRLB to turn around. 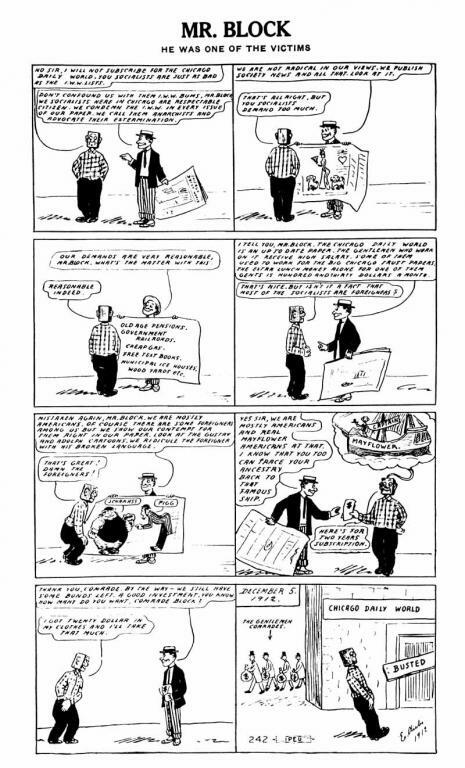 Good news I've found a few more including more stuff by the original artist Ernest Riebe, though I'm not entirely sure what order they go in though Mr Block didn't really have much of an on going storyline. 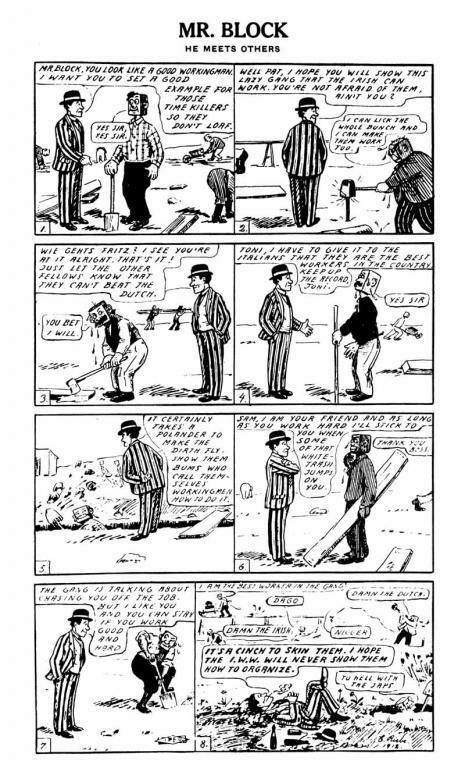 I'll add them in the middle before the extra images. 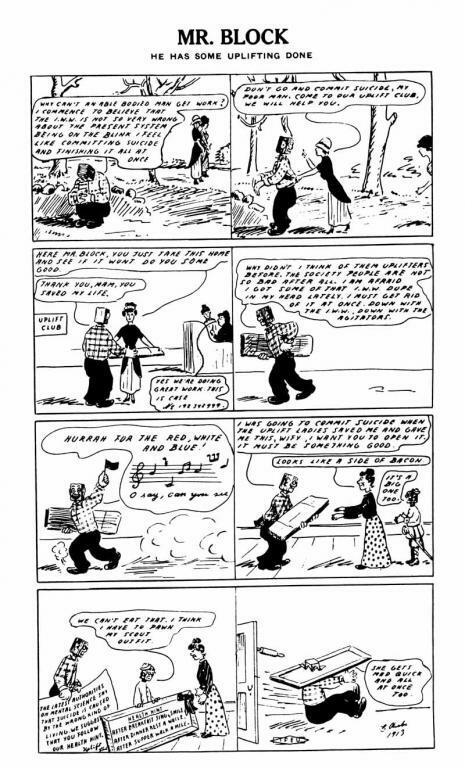 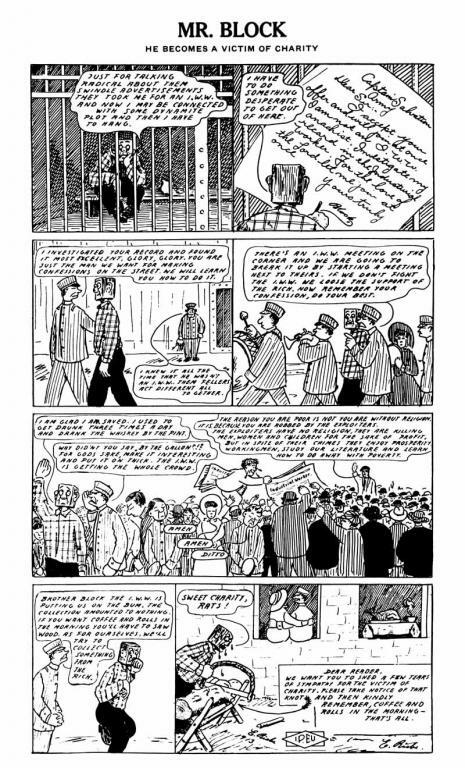 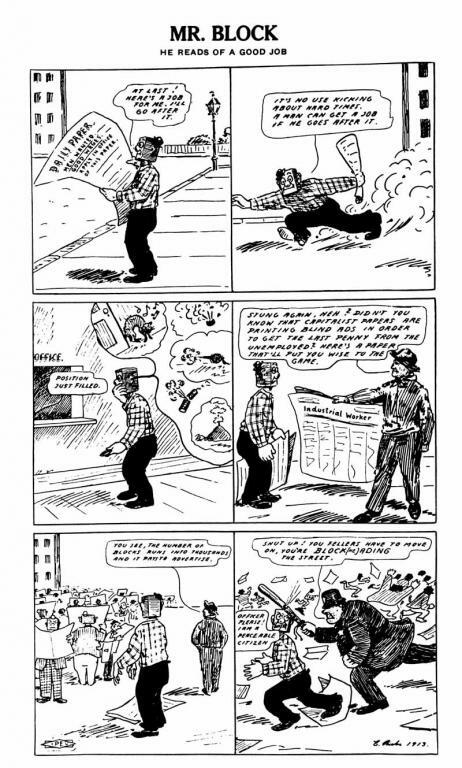 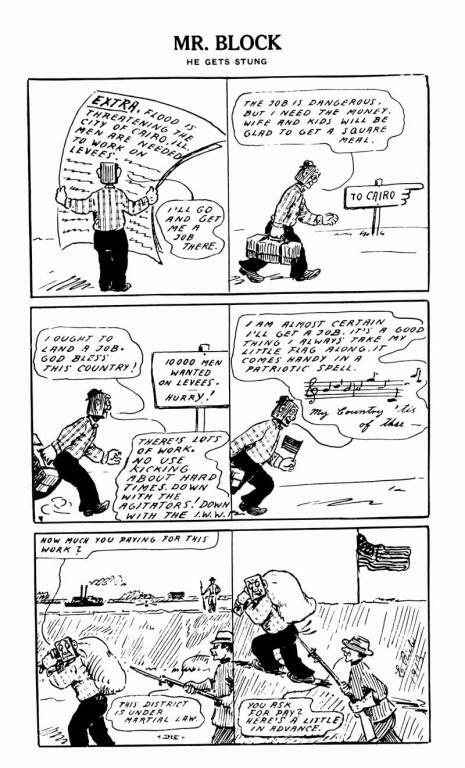 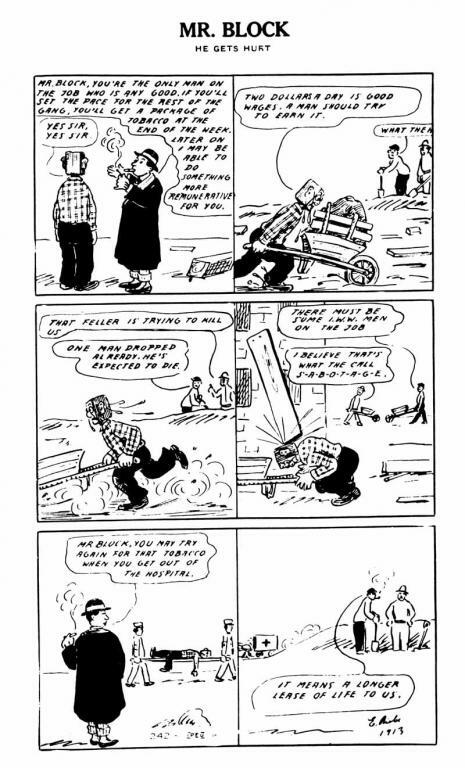 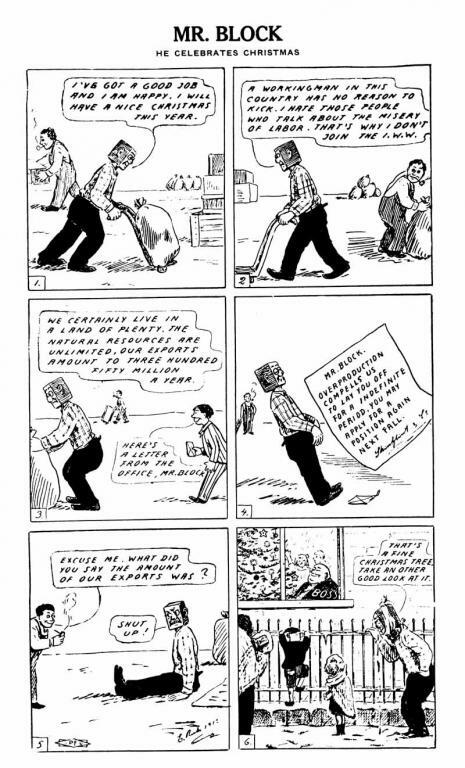 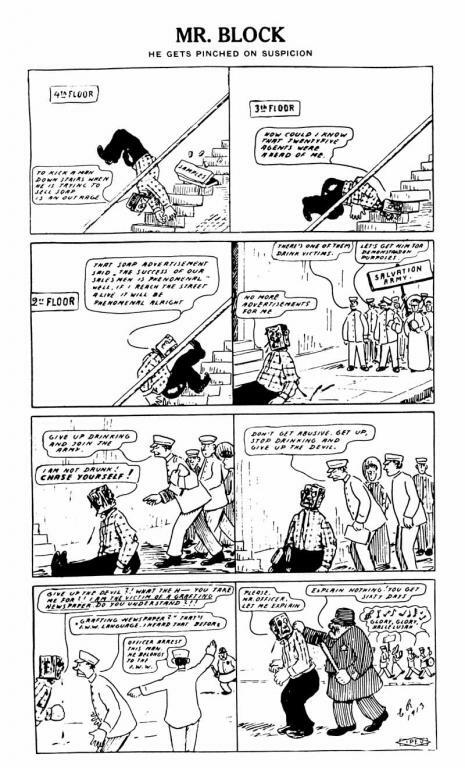 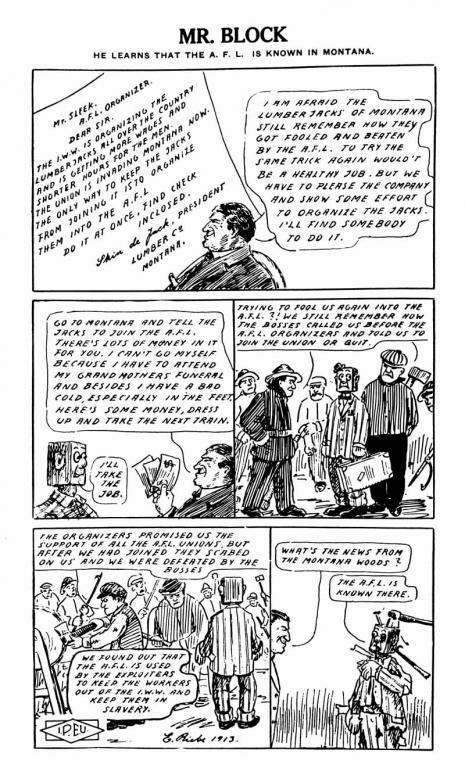 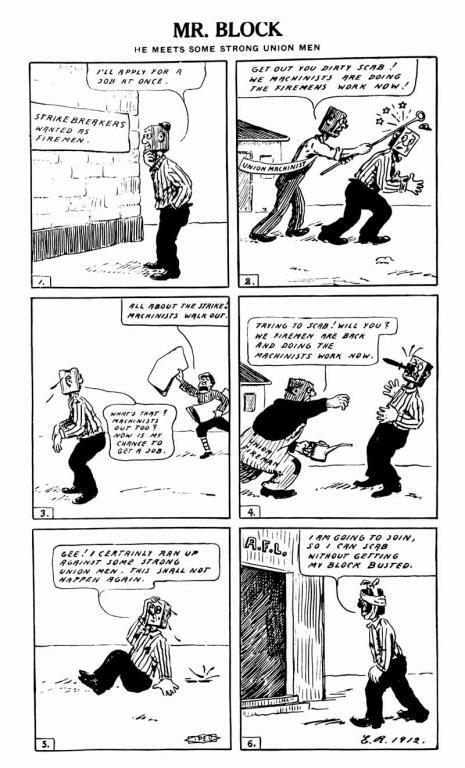 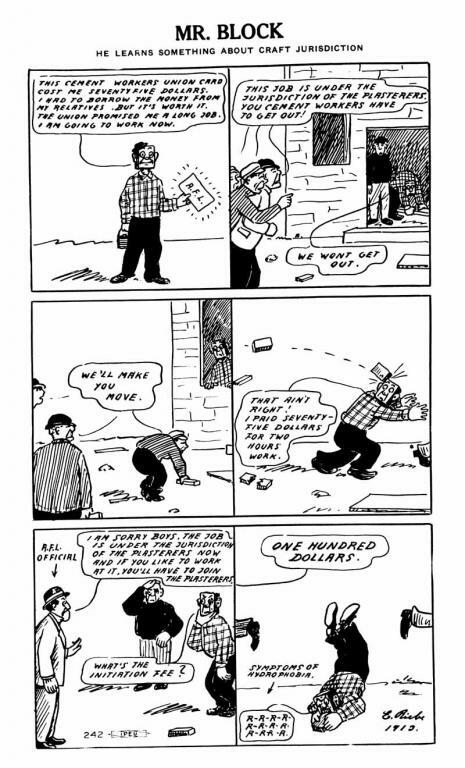 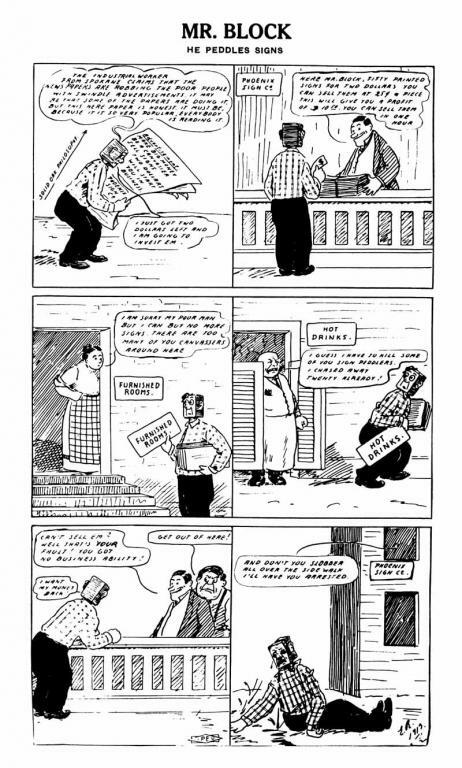 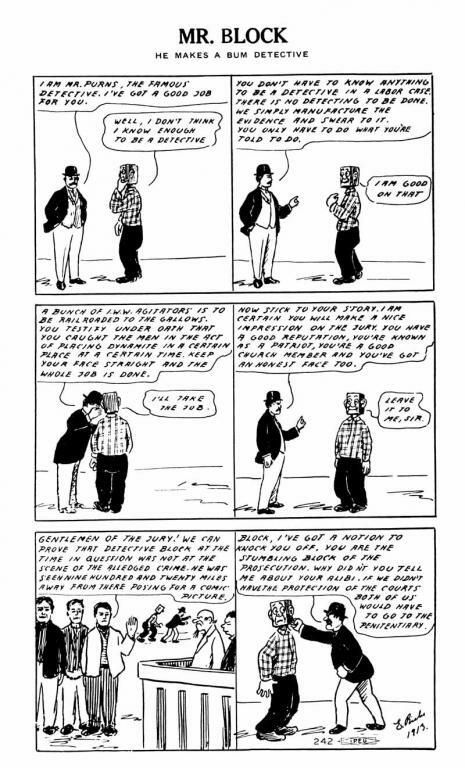 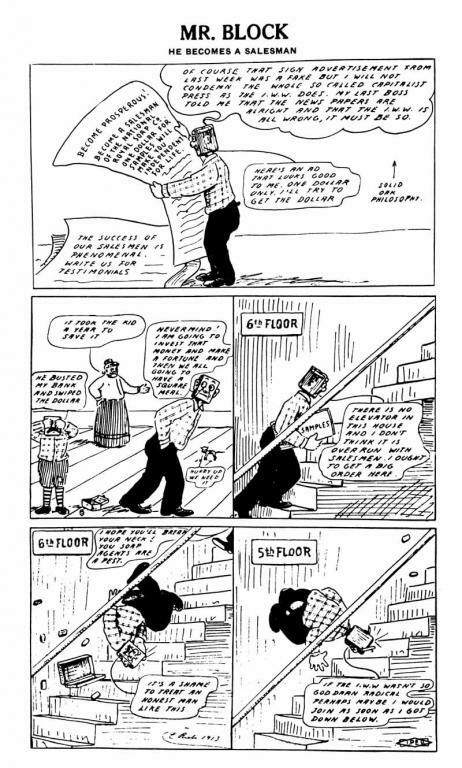 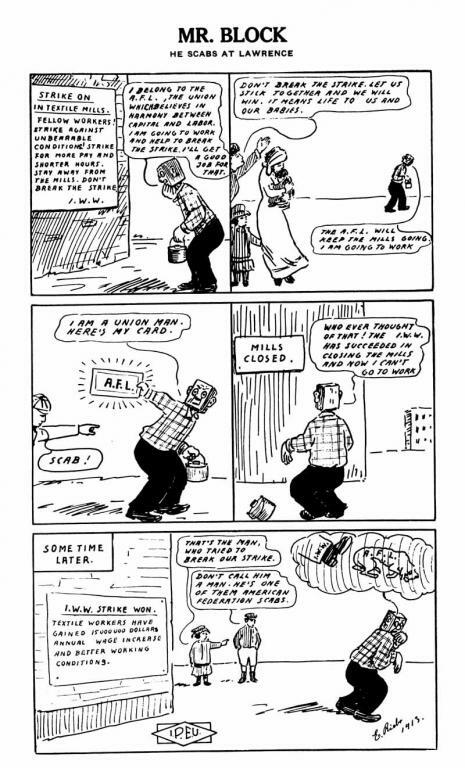 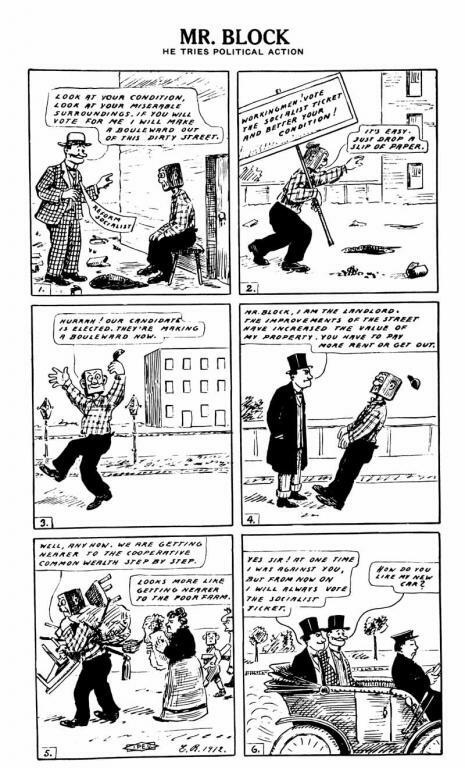 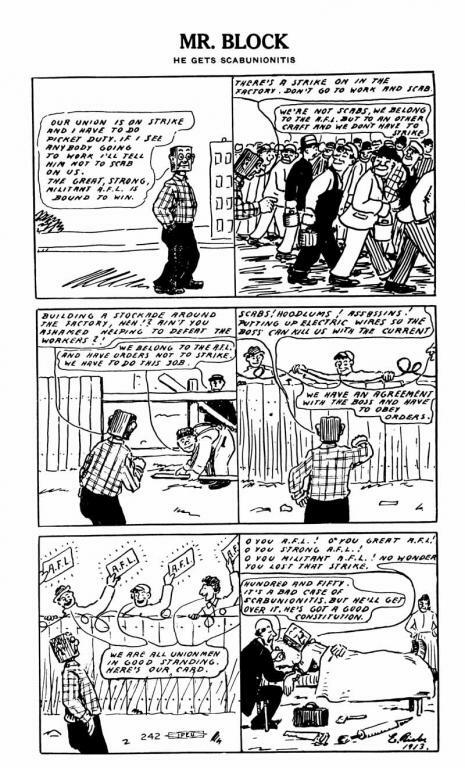 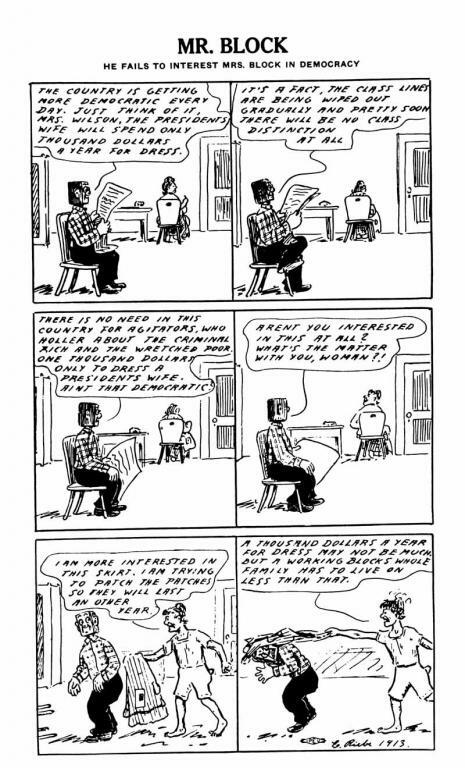 Sadly there are no extra strips in Wobblies a graphic history, Mr Block only has one strip from the Dakota harvests in it.